Have you ever wondered why we call the ladies who work in our homes “Special Mothers”? They are special, and most are mothers, but there is something more to these women. It takes a very special person to care for someone else’s children as if they are your own, and that is what the Special Mothers do for our children. These very special women work alternating days, caring for our children. They are the ones who celebrate successes, kiss boo-boos, pray with our children, discipline our children, and hold them when painful memories are too much to handle. They stand in the gap between the biological families who aren’t able to care for these children and an uncertain future. Words can hardly describe the dedication our Special Mothers have for the children living at Dorie’s Promise. 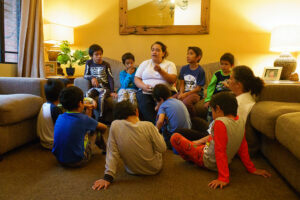 Mama Diana has been caring for children in our home since we opened in 2000. After a chance meeting by her mother in a restaurant, Diana landed an interview with our founder, Heather Radu, and became the first Special Mother hired for our new home in Guatemala. With the exception of one short year, she has worked with our children ever since. Joining our staff as a young woman, Diana brought energy, compassion, and dedication to our home. Over the past 2 decades, she has been a constant source of love and support for our children. Anyone who has the pleasure of sitting with Diana will immediately be overwhelmed by her love for our kids. Some people claim no one can love you like your parents. Diana believes differently. For our children, who have found their way to us through abuse, abandonment, hardship, and trauma, Diana fills the gaping hole left in their lives. For Diana, these are her children. Whether she’s at work or at home, they are always on her mind, in her heart, and in her prayers. Her life revolves around how to help them heal and become the young people God has created them to be. Although her days were very busy during the early years of Dorie’s Promise, she prefers the hard work of raising older children now. When international adoptions were still being facilitated, Diana’s role was only temporary in each child’s life. She cared for children and helped prepare them to be united with their adoptive families. Although she believes there are more challenges facing our children now as they mature, she enjoys this type of work even more. Facing tough choices and times of growth in their lives, Diana believes our children need the Special Mothers even more now. She enjoys the opportunity to help raise our children and impact who they will become as adults. 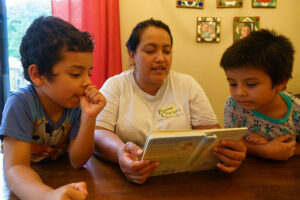 For Diana, imparting a heritage of faith is the most important work she does for our children. Because many of our children spend years with us, Diana has the opportunity to help shape the faith of our children in a way that wasn’t feasible with younger children only temporarily in our care. As she works throughout the day, she prays with our children, teaches them valuable lessons in faith, and encourages their personal relationship with God. Her goal is to help every child understand God’s plan for their life. Diana believes the love she and the other staff members show our children can overcome the trauma each child experienced in the past. She understands the cycle of poverty our children were exposed to early in their lives and although she worries about their future, she also knows each child is receiving the support they need to achieve success as an adult. We are thankful beyond words for Mama Diana’s dedication to our children for the last 18 years. 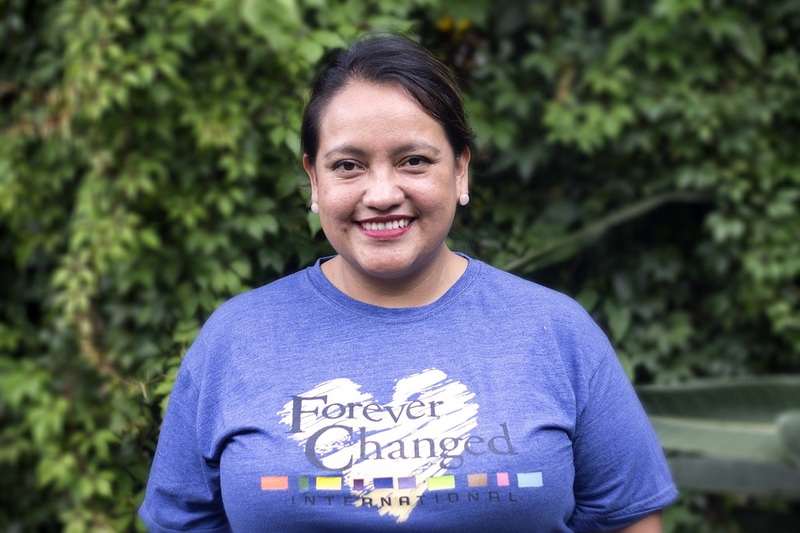 Without faithful staff members like Diana, our home would not be the same and our children would not receive the overwhelming love they need.